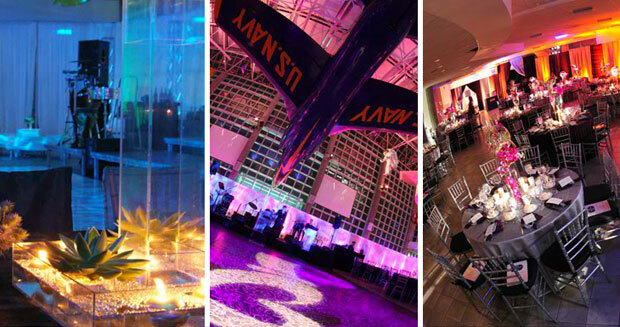 The Cradle of Aviation Museum provides a distinctive setting for your next corporate fete where every detail counts. 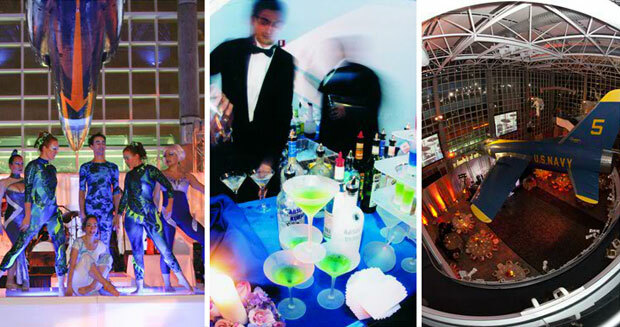 Whether you are planning a celebratory gala for 1,500, an intimate business dinner for 50, or an important presentation for 200, the Cradle of Aviation’s staff is eager to provide you with full-service event planning. Flexible spaces of all sizes filled with awesome aerodynamic artifacts, and the giant screen dome theater for presentations make the Cradle of Aviation Museum a truly amazing and interactive locale for your next corporate event. Philip Stone Caterers is the exclusive on-site caterer at the Cradle of Aviation Museum. Whether you are planning an intimate gathering, a wedding reception, a bar or bat mitzvah, or a corporate gala, Philip Stone Caterers is dedicated to providing you with tasteful creations, unparalleled service and fabulous presentation. Philip Stone will coordinate every detail of your affair, offering customized, themed and sustainable menus to meet your tastes and budget. Renowned food and impeccable service…those are the signatures of a truly stellar celebration and an event to remember, and that is what Philip Stone is dedicated to providing. Contact us today and let's start planning your next corporate event! 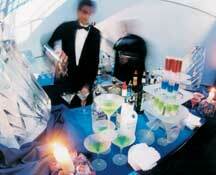 Philip Stone Caterers is the exclusive on-site caterer at the Cradle of Aviation Museum. For Facility Rental and Special Events, please call 516-572-4018. For Philip Stone Caterers, please call 516-572-4063.